Being confident of how you look can lift your self-esteem, improve your outlook on life and can make you look like the bright, friendly person you are. You deserve to smile with your best. Our team at Specialist Dental Group is here to help you smile freely. We’ve provided the revolutionary Invisalign system to many of our patients, and our team is highly qualified and experienced in its fitting, use and maintenance. Minimal disruption to day-to-day activities: the aligners are removable so you have the freedom to take it out whenever necessary (ie. when brushing your teeth or eating). It is also great for individuals with busy schedules as Invisalign potentially requires less frequent visits to the dentist. Higher level of comfort: Invisalign uses the latest technologies to straighten teeth in a more comfortable manner. Our clinics in Singapore have helped thousands of people just like yourself to take control of their lives and be able to eat, smile, talk and laugh confidently and comfortably. Whether you’re considering wisdom teeth extractions, gum treatments, dental implants to replace missing teeth or simply are in need of a professional opinion on your overall dental health, we’re here for you with expert advice. Contact our practices today via our enquiry form and we’ll get back to you as soon as possible. You can also call us at (65) 6734 9393 (Mount Elizabeth Orchard) or (65) 6471 5150 (Gleneagles Medical Centre). Invisalign straightens teeth using a series of custom-made, nearly invisible removable aligners. Think of Invisalign as contact lens for your teeth, one will barely notice you are wearing aligners that will move your teeth, bit by bit, towards their projected final position. Our dental specialist/ dentist will find out the details of your medical and dental history, go through a consultation and examination and take digital X-rays of your teeth to enable a thorough and detailed diagnosis to ascertain if you are suitable for Invisalign. If you are found to be suitable for Invisalign® treatment, an impression of your teeth will be taken as well as photographs of your teeth and facial profile. An impression of your teeth is also taken to fabricate the aligners. Our dental specialist/ dentist will create a comprehensive customised treatment plan for you. 2 weeks later, the information previously submitted on your dental condition and your teeth impression will have been incorporated into the Clincheck 3-D software program. This software allows your dental specialist/ dentist to show you a 3-D visualization of your tooth movements and treatment outcomes. This software maps out a precise treatment plan, including the exact movements of your teeth and the approximate length of treatment. Changes can be made to the treatment plan at this point. Once the proposed plan is confirmed, your aligners will be fabricated at the Invisalign® Headquarters. 4 to 6 weeks later, based on your individual treatment plan, a series of custom-made, clear aligners will be fabricated. These aligners are made of a smooth, comfortable, BPA-free plastic that do not irritate the cheeks and gums.A patient start-up and orthodontic care kit will also be given to you. Your dental specialist/ dentist will prescribe your aligners based on your treatment progress. You will need to wear the aligners throughout the day, and remove them when you eat or to brush and floss your teeth. As you wear each set of aligners, your teeth gently and gradually begin to shift into place. The first review visit will be approximately 2 to 3 weeks after you have started wearing the aligners. Your dental specialist/ dentist will check your aligners for fit and comfort.Subsequently, you will be given 2 to 3 sets of aligners. Each pair of aligners is worn for about 2 to 3 weeks before progressing to the next pair.You will sequentially move up each pair of aligners till the next review with your dental specialist/ dentist. Review visits are scheduled about 6 to 8 weeks apart.For best results and a timely outcome, you should wear your aligners throughout the day, unless you are eating and/ or drinking. Ideally, you should wear your aligners for 20 to 22 hours per day.Sometimes, your tooth may need to be filed down a little to obtain space to align the teeth. Tooth coloured composite attachments are also sometimes bonded to your teeth to obtain more control in certain tooth movements. You should be able to resume your normal daily activities immediately with no down time. Some individuals may take a day or two to get used to the appliance in their mouths. There may be a general feeling of tightness as teeth are being shifted but the edges of the aligners should not cut you. Speech may be affected for the first couple of days, but you will get used to it and be able to speak normally with continuous wear. Keep your aligners clean by brushing them with your toothbrush and toothpaste when you go about your daily oral regime. When rinsing your mouth, use cool water. Do not soak your aligners in any special solutions or hot water as it will cause the plastic to distort. Always carry your aligner case with you and keep your aligners in them upon removal to prevent losing, breaking or distorting them. At the end of treatment, you will require retainers. They maintain your teeth in the corrected positions and are usually worn at night. Your new smile requires the same care as your natural teeth – flossing, brushing and regular dental check-ups and maintenance every 6 months will ensure that your teeth and gums are healthy. 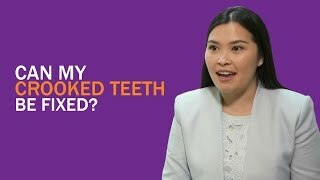 A deposit of SGD$2,800 is collected during the first visit after an impression of your teeth is made. Another deposit of SGD$2,500 will be collected during the second visit, after you approve your 3-D visualization of your tooth movements. Payment for the remaining balance is made during subsequent review visits in installments of SGD$300 (or $450) each time. Depending on the individual, other treatments like wisdom teeth extraction may be required before one starts on Invisalign treatment. The fees incurred depends the on the type and extent of treatment required. Medisave does not apply to Invisalign treatment. However, if you are a Singaporean or a permanent resident of Singapore, Medisave may be utilised for other treatments required, for instance, the removal of wisdom tooth. Specialist Dental Group’s accredited Invisalign team comprises of Dr Eugene Chan, dental specialist in Orthodontics (teeth alignment) and Dr May Ling Eide, dental surgeon with postgraduate training in Orthodontics. We can usually schedule for you to see our dental specialists/ dentists within 24 hours and depending on your dental condition, it may be possible for you to start Invisalign treatment on the same day as your initial consultation.